The Lexington Young Professionals Association (LYPA) prides itself on our diverse group of members and our involvement in the Lexington and greater Bluegrass community. The Annual Rising Stars program is designed to honor the young professionals who are emerging leaders in the Lexington and in the counties contiguous to Fayette County. Nominees should demonstrate a strong commitment to impacting the community in a positive manner through professional and non-professional service and achievement. 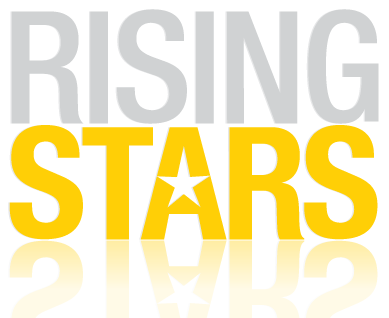 The Annual Rising Stars program is designed to honor young professionals under the age of forty who are emerging leaders in their chosen profession as well as within civic and charitable organizations. Nominees must live or work in counties of Bourbon, Clark, Fayette, Franklin, Jessamine, Madison,Mercer, Scott and Woodford. In addition, individuals who are currently serving on the LYPA Steering Council or previous Rising Stars recipients are not eligible. However, past nominees who were not selected for the award are strongly encouraged to resubmit an application. The LYPA Rising Stars program was designed as a program where nominations are taken from local community members during a specific time period, a diverse panel of community business professionals and leaders review the nominations and rate nominees based on specified criteria, and winners are selected based on judging panel results. Anyone can nominate a Rising Star by submitting a nomination per the instructions defined by LYPA. All qualified candidates will be reviewed by the selected judging panel, and winners will be selected based on the results of this review of criteria including professional achievement, philanthropic achievement and community involvement. LYPA will host a recognition event to honor the selected Rising Stars each year. This reception and recognition ceremony is open to the general public and community members are strongly encouraged to attend and support these young professionals. Please contact lexingtonyoungprofessionals@gmail.com with any questions about our annual Rising Stars program.